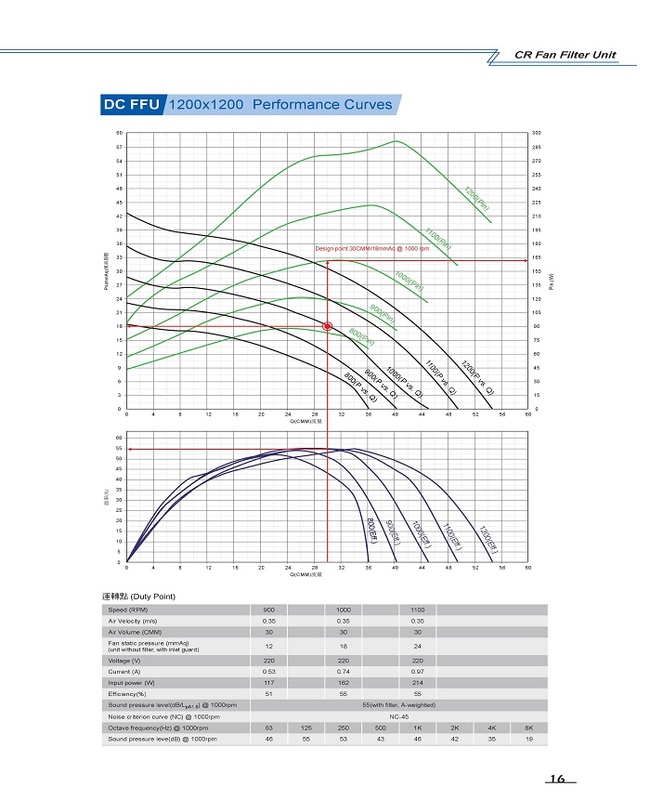 DC FFUPerformance Curves - Chyi Lee Industry Co., Ltd.
DC﻿ FFU standard size includes 1200x600, 1200x900, 1500x750 and 1200x1200. 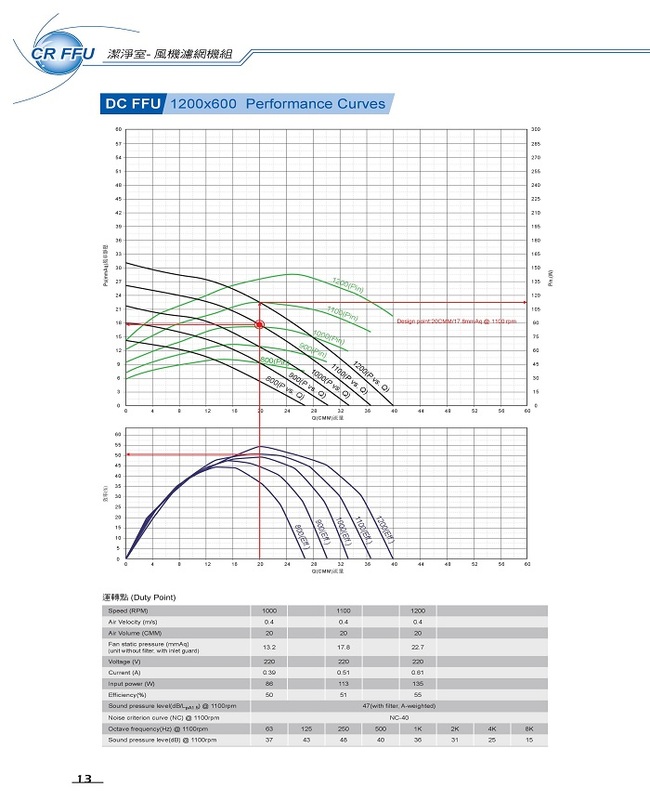 Other size or air flow/system pressure is also available upon request. 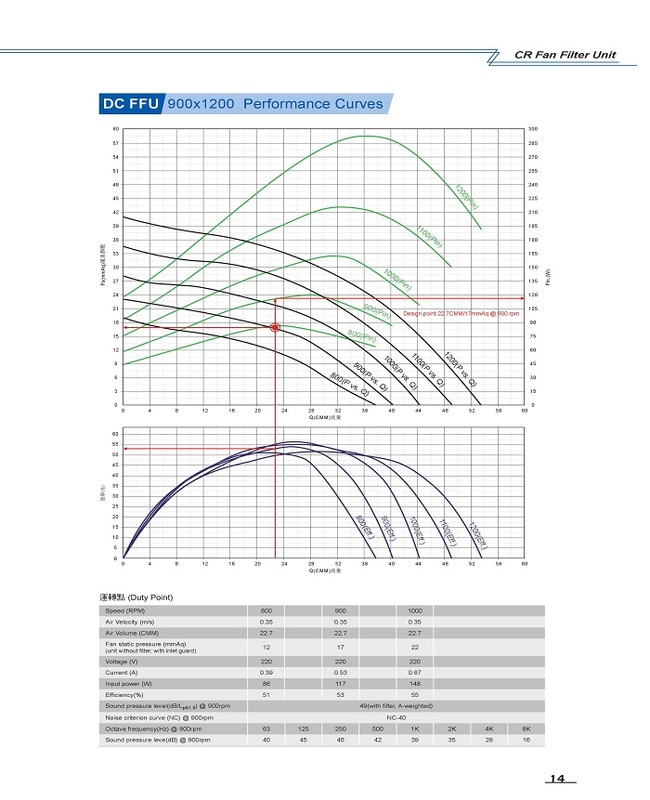 The high efficiency DC motor offers various speed adjustment by emote control. 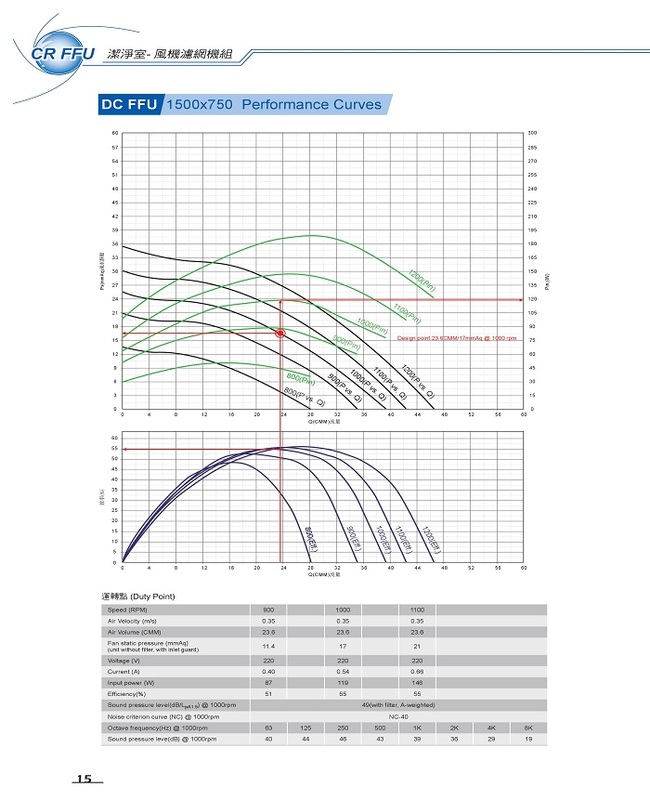 TOPWELL AC﻿ FFU﻿ incorporates the aerodynamic design of casing, high efficiency motor and impeller to achieve the total efficiency of 56% or above.